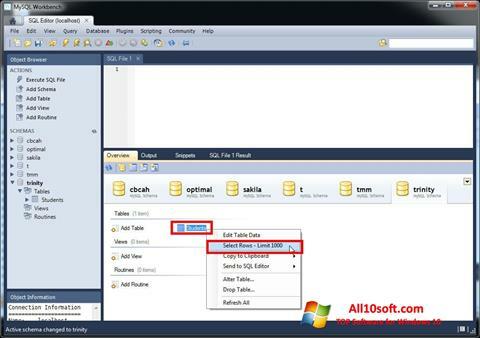 MySQL Workbench for Windows 10 - software endowed with a set of tools to perform database design. Provides ample opportunities for modeling, creating and using the database in work. Allows you to develop new projects from scratch. Well suited for a comprehensive transition from one database to another. With this software, the user can visually display tables with information, views, processes, saved keys. There is an opportunity to integrate the developed project with the existing base. For more convenient interaction, you can create your own scripts. You can free download MySQL Workbench official latest version for Windows 10 in English.